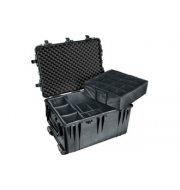 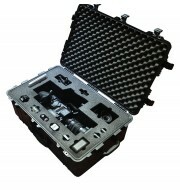 The Peli 1640 is a large size waterproof case that offers fantastic internal space as well as depth, making the case ideal for storing equipment to suit all purposes. 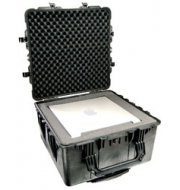 The cases waterproof, dustproof and watertight properties makes the case ideal for outdoor environments. The embedded rubber seal prevents moisture and liquids from entering the case, keeping your equipment dry and safe at all times. 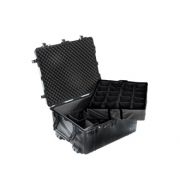 The Peli also comes with an extending handle and wheels to provide mobility for those heavy items.